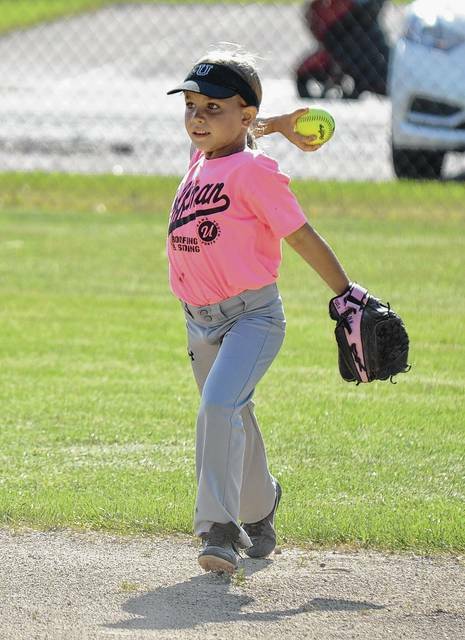 Morgan Hoffman throws the ball back into the diamond from her center field position on Monday when Hoffman’s Roofing and Siding took on Roger’s Painting and Tree Service in 8u coach pitch softball at Melvin Miller Park. 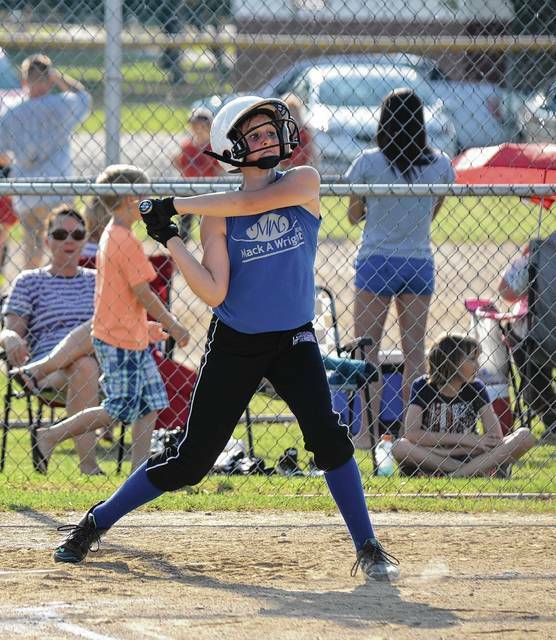 Mack Wright Dental’s Abby Lawhorn takes a mighty cut and drives a ball up the line against Johnson Welding Products on Monday at Melvin Miller Park in 13u softball. 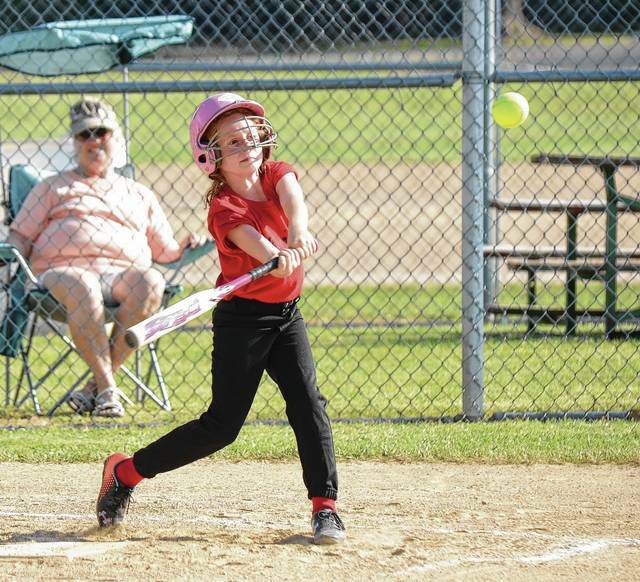 Addison Wallen smacks a ball into play when Roger’s Painting and Tree Service took on Hoffman’s Roofing and Siding in 8u coach pitch softball at Melvin Miller Park on Monday. 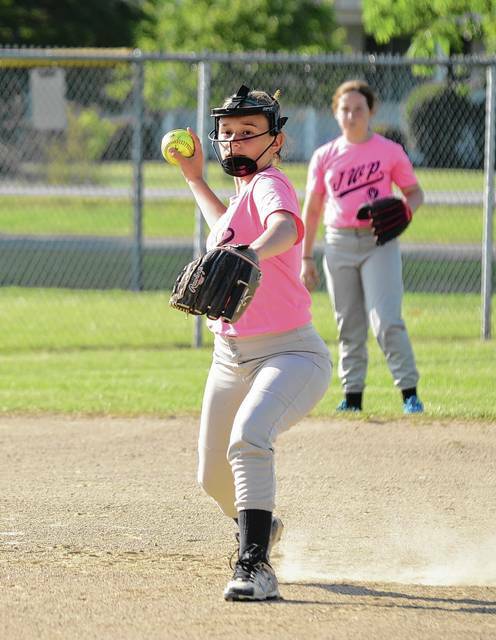 Riley Wright, of Johnson Welding Products, fields a ball at shortstop during a game against Mack Wright Dental on Monday in 13u softball at Melvin Miller Park. https://www.urbanacitizen.com/wp-content/uploads/sites/36/2017/06/web1_MorganHoffman0612172017612191058980.jpgMorgan Hoffman throws the ball back into the diamond from her center field position on Monday when Hoffman’s Roofing and Siding took on Roger’s Painting and Tree Service in 8u coach pitch softball at Melvin Miller Park. https://www.urbanacitizen.com/wp-content/uploads/sites/36/2017/06/web1_AbbyLawhorn0612172017612191116825.jpgMack Wright Dental’s Abby Lawhorn takes a mighty cut and drives a ball up the line against Johnson Welding Products on Monday at Melvin Miller Park in 13u softball. https://www.urbanacitizen.com/wp-content/uploads/sites/36/2017/06/web1_AddisonWallen0612172017612191145161.jpgAddison Wallen smacks a ball into play when Roger’s Painting and Tree Service took on Hoffman’s Roofing and Siding in 8u coach pitch softball at Melvin Miller Park on Monday. https://www.urbanacitizen.com/wp-content/uploads/sites/36/2017/06/web1_RileyWright06121720176121912111.jpgRiley Wright, of Johnson Welding Products, fields a ball at shortstop during a game against Mack Wright Dental on Monday in 13u softball at Melvin Miller Park.